News of the world delivered to your living room, in color (where available). Breaking news, links of interest, con reports, previews of coming attractions, media coverage of Channel 37 and its authors, and more. You’ll find news of the world of retro-SF too! Action 37 Report – We Were Right! We were right! And now we’ll brag about it forever. Not really, it’s great to be on the cutting edge of science though! And here is the link to the Huffington Post Article about the Goldschmidt Conference. Don’t forget to subscribe for the latest updates and stories! Posted in Action 37 News	| Comments Off on Action 37 Report – We Were Right! The Channel 37 AUDIO INVASION is here! Download our latest podcasts here. Subscribe and get the latest as they appear! 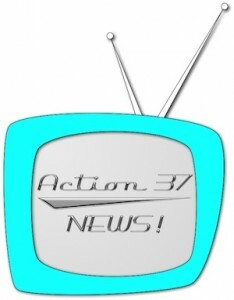 Posted in 37 Minutes, Action 37 News	| Comments Off on Audio Invasion! To all our friends and fans. 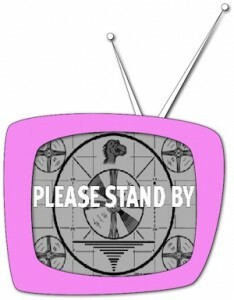 We’re sorry for the interruption in broadcasting for the last few months. We were in the midst of heated negotiations (it was winter, you know). Anyway, we are proud to announce that Channel 37 has become part of Greyrock Publishing, LLC of Baltimore. We have worked with Greyrock in the past, particularly with the publishing of Season One!, our first compilation. In that change begets change, some of our staff have been repositioned (speaking corporatese already!). Our head writer, Paul Lagasse, is being moved to strategic planning and oversight. He will contribute stories when he can, but not until most of the reshuffling dust settles. I intend on nagging him constantly for posts. My role has been changed to Senior Editor. I will be writing, editing and acquiring posts where available. Channel 37 will try to stick to a defined schedule, as has been in the past. Perhaps the posts will not be weekly until we find more staff members. Now that the corporate stars have been re-aligned, let me assure the readers that the scripts are being produced, the actors are rehearsing, and the camera men are sobering up! We will be posting new stories as soon as next week. Thank you all for your past support and we look forward to hearing from you in the future! Just a Note to our loyal fans. If Frankenstorm strikes the Channel 37 Studios we might be down for a bit. We hope you all have a safe couple of days and we’ll be back when we can! Posted in Action 37 News	| Comments Off on Frankenstorm Strikes! We here at Channel 37 apologize for the interruption to our regular broadcast schedule. The next installment of “Mission to Mars” will appear in a couple of days. Paul is on the road this week, and just flat ran out of time. Think of it like a tape delay broadcast. However, we’re confident it will be worth the wait. In the next episode of “Mission to Mars,” the crew flies into orbit and prepares to depart for Mars, but the discovery of an unexpected stowaway raises tensions among the crew! The conference analyzing the results of CERN’s efforts to detect the Higgs boson is now online here. Happy Fourth of July to our U.S. readers! It is with the utmost sadness that we announce the passing of Ray Bradbury. He was a master author in a world where much mediocrity exists. Personally, I remember being forced to read his book Fahrenheit 451 in school. It was certainly an eye-opener for me. The power of science fiction is certainly present in that book as well as some other of his works. Channel 37’s own Paul Lagasse is the featured guest on today’s installment of Nathan Lowell Presents, a site dedicated to featuring creative people from around the web. It really should have been called “The Monster That Annoyed a Couple of Guys on a Boat,” but that’s not the point. One night I was flipping through the TV listings trying to find an excuse to stay up a little later when I stumbled on it just as it was starting. I thought, what the heck. At first I went all MST3K on it, because it deserved it. But at some point, I stopped mocking things like the stock characters (the Gruff but Secretly Warm-Hearted Hero, the Comely Lab Assistant, the Elderly Scientist Who Speaks in Dissertations) and actually got hooked on the story itself. As hokey as it was, it had a decent plot, earnest acting, and a not-half-bad script. Check out “Nathan Lowell Presents: Creature Feature” and be sure to add the site to your feed, because it’s a great way to meet the movers and shakers in today’s online science fiction scene! The news just broke about Steve Jobs passing. In that he was a major force in our society today, we will have more in-depth coverage on our 37 Minutes post on Friday. Channel 37 Sponsors Baltimore Book Festival Booth! Channel 37 is a proud sponsor of the Maryland Writers’ Association booth at this weekend’s Baltimore Book Festival, which runs from Friday, September 21 through Sunday, September 23 from noon to 8:00 p.m. (until 7:00 p.m. on Sunday). The festival is located in lovely Mount Vernon Square just north of downtown Baltimore. Gary and Paul will be on hand Saturday, September 22 from 12 to 4 talking with festival-goers about writing and reading serial science fiction, handing out flyers for our e-books, generally just hanging out enjoying the festival vibe. If you’re planning on attending, please drop by the MWA booth (M-9, around the monument) and say hi! If you’ve never been, you should consider going — not only is it free, it’s a lively, friendly, relaxed celebration of all things book. There will be live readings and signings by local, national, and internationally recognized authors, activities for the kids, thoughtful panel discussions, food and drink, and book sellers of every kind. But most of all, it’s an unparalleled opportunity to strike up a casual conversation with writers, editors, agents, publishers, and bookstore owners. It’s not crowded like DC, it’s not high-pressure like Frankfurt. It’s Baltimore! Posted in Action 37 News	| Comments Off on Channel 37 Sponsors Baltimore Book Festival Booth!